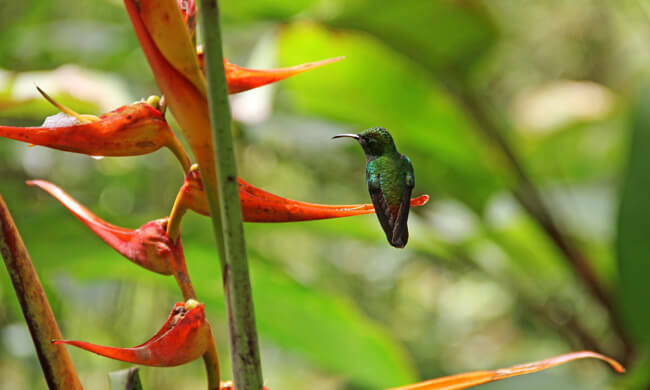 Enjoy Birdwatching in the Cool Morning Air of the Cloud Forest. With approximately 850 recorded bird species in Costa Rica, the country boasts one-tenth of the species of the world’s total bird population. So if birdwatching is your passion, here’s your chance to set off in the cool morning air of the cloud forest and gentle sloping pastures on a quest to spot your share of more than 258 local species, including endemic birds such as the orange-bellied trogon, keel-billed toucan, and dozens more. Features: This tour includes the services of an expert guide, who will share his knowledge of birds with you and will point out their nesting and hiding spots along the way.